Available in outputs of 24kW, 28kW, 33kW, 40kW and 28kW LPG models. 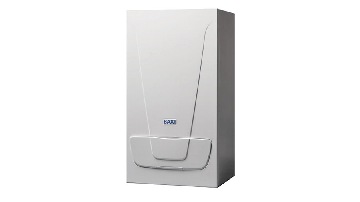 The Baxi Duo-tec Combi boiler is a firm favourite with installers and householders because it is straightforward to install and simple to use. It is an Energy Saving Trust endorsed product, so you can be sure it meets the highest standards of energy efficiency. Fantastic boiler which is trustworthy, faithful and reliable. It's actually our favourite boiler to install for our customers and these are just one of the best ones on the marker. Standard free 7 year warranty on them as well. You can't go wrong with a Baxi. Fitted quite a few of these boilers and they are one of the best boilers ever built, servicing one of these are a pleasure. Solid boilers reliable and trustworthy, with great backup support from Baxi. We have been fitting Duo-tecs for over 5 years now and we have yet to have any problems with them, installation is easy with the jig and copper tails to connect to. Thanks for taking the time to leave feedback, glad you approve, we agree, great boiler! Easy installation and was I amazed to see the performance on commissioning. Once up and running haven't witnessed anything as quiet as this BAXI duo tec 28 install. At the moment have a duo tec 24 to install later this week similar installation system to combi conversion. Will give honest feedback opinion. Been fitting Baxi Boilers for over 20 Years and have no intention of changing now. Easy to install Easy to service and if you are replacing an old 80/105/Platinum the Duo-Tec fit's back in the same place (although you do need to slightly alter the flue outlet hole!) Great Boiler with fantastic back up by Heat Team if on the odd occasion you do encounter a problem! Thanks for taking the time to leave a review and for your loyalty to Baxi! I have installed many of these, they are my top recommended combi boiler. They are built to last, stainless steel heat exchanger, brass internals and simple controls. Long warranty with best customer support on the market. Proven track record. The duo tec has been my go to boiler for the last 5 years. Designed with the engineer in mind. All brass components , not plastic like the competitors. Parts are reasonably priced of required. And Baxi customer support is second to none. I’m sure that whatever I say about the Duo-Tec will have been said a thousand times already, but it’s all about the build quality with these boilers, no flimsy plastic to snap off in your hands, just solid brass throughout. Built to last, but even when they do fail after many years, they’re a cracking boiler to work on. There’s a reason that they’ve been going for so long, reliability! Bullet proof boilers these bad boys! i just love turning up for a boiler service or repair when its this boiler. they are built like a brick outside garden toilet- full of brass parts that last for ages. even when they dont (as all boilers need repair at some time) you can be sure the part next to the part you are repairing is not going to break off because its made of plastic as in most competitor models. Not the latest and greatest tech in these but tank like reliability. Easy and simple to install and commission is an added bonus. If you've got the wall space, decent fixings and don't need a whisper quiet boiler then you could do much worse. Out favourite boiler to fit and service by far. Solid build quality, so easy to install and maintained due to the internal space. They come with a long warranty for customers peace of mind and the best customer service and after sales on the market. 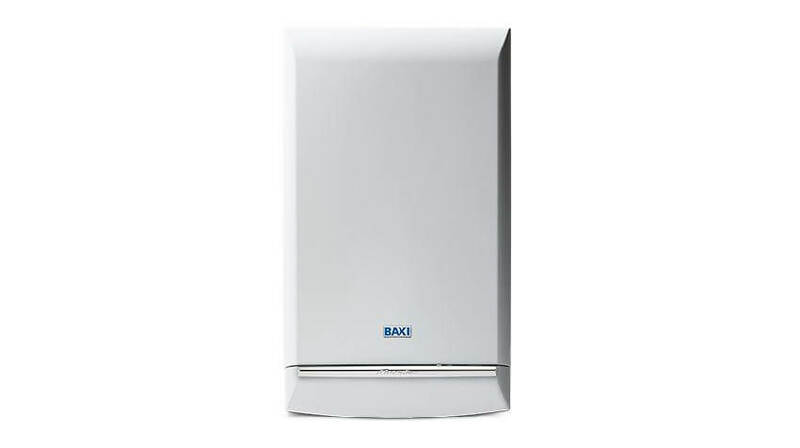 Always our preferred choice to fit a Baxi boiler, this is just one of the many models we fit and will continue to do so. As a consumer, I have this a home. Its a good boiler and was easy to wire up. I have the 33kw version. If I had to pick faults I would say it is basic on the controls, but I added a nest so it has all the tech. Great boiler and with a 10 year warranty it's hard to look elsewhere. Having a jig to connect the pipes to makes fitting far easier than others. The new easy fill system makes it far easier for the customer to tip up the system if needed without having to call me. I have fitted over 250 of these boilers with very little comebacks over the last 10 years and still fit them today ,one of the best if not the best boilers available. Brilliant boiler, very easy to install and built to last. Always recommend these boilers to customers and have never been let down. Very reasonably priced. This boiler is a must easy to fit and roar like a plane one reliable boiler ! Very impressed Easy to use ! Great guarantee as well Fitted quiet a lot of the due tec , I would recommend this boiler than the most expensive one ! Tried and tested technology with a fantastic reputation for reliabilty. With stunning good looks loved by home owners the Platinum is definitely my number one recommended boiler for my customers. Coupled with a market leading manufacturers warranty and excellent service back-up it is an Installers dream come true! Installed lots of these boilers over the years and found them to be value for money, reliable, and backed up with excellent aftercare. They are easy to install and can count on one hand the amount of faults ive had. I have Ave installed lots of due tec and they are very easy to install and good value for money. Built quality is very good and easy to service and plenty of space to work or changing parts. Older boiler model , but surely one of the best and most reliable to date. Long may it be produced. 7 year warranty put it miles ahead of the competion. Simple to fit and commission . Also repairs are generally not that often and when required most parts are easily fitted and unlike a lot of the competitors they are priced reasonably and readily avaliable . In my opinion still the best combi on the market . Robust boiler with an amazing 10 year warranty. I install a couple of this a month and they never let me or my customers down. Not a bad boiler, good warranty and nice and easy to fit. Reasonable price and a good overall size. Easy to service and repair in the future. All in all a good boiler. Excellent build quality, Manufacturers back up & value for money . Main Boiler we specify for the above reasons & very few problems. Fitted for a friend that didn’t want to spend full on an eco blue but wanted more than a cheap and cheerful boiler. Good for the money, does what it says on the tin. Easy to fit even in an airing cupboard. Would happily fit again. I've have personally fitted more than 150 of these boilers and in 5 years have only had to call out Baxi twice within the warranty period. They are the most reliable boiler on the market bar none. I've fitted Worcester, Vaillant and Ideal and none of them co.e close to the reliability offered by Baxi. It's an easy choice for me and my customers. Baxi every time. A great solid boiler built to last easy fitting and has stood the test of times no digital features like the more modern boilers but if you want a boiler to last that you is easy to repair if there are faults then this is your answer. Great Boiler to install! Easy & fantastic customer services. I've only had 1 problem and they fixed it straight away. 7 year warranty is what the customer wants! Have been really impressed by these boilers. They have taken the installer in to thought when building it. Serving is also really easy. Customer service is very good too. Parts are slightly expensive. A long standing bullet proof boiler, love fitting these apart from when its on the top floor of a three story house because of its weight, thats the price you have to pay for good quality brass internal parts though! been fitting baxi boilers for years now and must say the duo tec is one of my best good quality brass parts and priced fairly, easy to repair with ample space inside. Ive been installing, servicing and repairing these for over 10 years now. Bullet proof boiler and very easy to serice. Easy to fit and great value for money. These boiler have been tried and tested and baxi is a long running brand that people are familiar with. Downside is they are lacking with features. Still going strong and rightly so. Fitted dozens with next to no problems. Jig to boiler link up can be a pain. The offset of having so much space inside the boiler is a large footprint and also large weight. Good solid boiler from a well known easy to sell brand. I find the jig a bit of a pig to secure to the boiler but other than that it's a simple boiler to fit. fitted a number if the baxi duo-tecs and says all when you even fit in you own property, baxi support is spot on and there warranty call (only has 2) have both been done within 24hrs of the calls. Easy to fit, tried and tested boiler with a 7 year warranty. Excellent build quality using quality materials. Brilliant product. Great service and after care. Easy installation. Good solid parts and easy to repair. The bullet proof duo tec which has been around for 1000 years and there's a reason for it. Incredibly reliable, easy to fit and easy for end user. The only negative is it weighs more than a house. The old faithful, I can see why this boiler is a big fit with engineers cause it's been around for years and have slight improves, as people say you can not reinvent the wheel. I wish they improved it rather than bringing out the new eco blue combi. Only down side is that it's a heavy old beast so weatabix at the ready for single lift. My second choice after the platinum. Great boiler fantastic build quality. The company as a whole is great. The build quality is excellent and the room to work inside the boiler is a dream. These are good quality simple boilers however they have their issues. I've been to some that have had a leak not fixed and ended up corroding the whole bottom chassis. They are also large and heavy but if you have the room not a bad boiler. Whenever I quote a new boiler the duo tec is always my number one recommendation to the customer! The jig makes it so easy to install and also protects the boiler from heat damage when soldering. The warranty speaks for its self! Customer supplied there own boiler for me to fit. I have to say it was an easy install and was quite impressed to be fair. Great boiler. 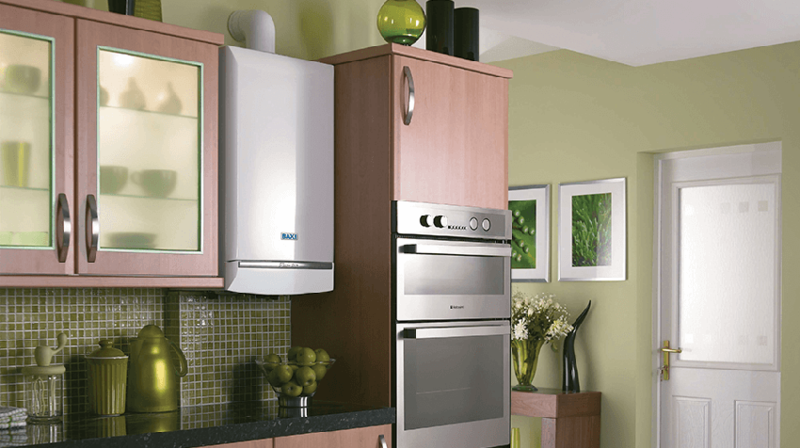 Excellent mid range boiler, a little heavy and cumbersome to mount but very solid and reliable. Simplistic operation and 7 year guarantee make it an easy sell. Have been fitting these and also the Platinum variant for a few years now and not had one single problem with any of them. My customers also like the simplicity of the controls. The only downside is they are not open therm compliant. Great boiler, easy instal and you can't grumble at a 7 year warranty. I've fitted it for a number of customers and my parents too and I'd be happy to fit it in my own house. Possibly a touch on the large side so not always ideal but it does make it easy to work on. Good solid bargain boiler. My mid rage choice everytime. I loved the technical course I did with these guys it was nice to experience the range. I wouldn't look past Baxi, great warranty and build quality with the best after sales available. Their field engineers are a credit and they really look after their staff. My boiler of choice at the moment. Well built, great warranty, easy to work on and great back up from service engineers if needed. Good range of outputs and usually a good offer on somewhere. In my opinion, one of the best mid range boilers on the market. Fitted loads of these since Becki king self employed two years. And with a 7 year guarantee straight out the box, it's a big selling feature. Customer service is excellent, and so is the repair team. Fantastic bit of kit which has been around a good while now, so must installers know this boiler. Very easy to install, plenty of space inside for working. Robust quality build that is super reliable. Only niggle is the position of the expansion vessel schrider valve, which makes re pressurising it pita. Fantastic boiler! Never really had a problem with one. Does exactly what it says on the tin. Easy to work on loads of room best boiler on the market in my opinion! The jig thats provided is a bit to match up with the connections underneath, it's a heavy boiler so taking extra care to slot it on to the jig is difficult and awkward. The inability to connect modulating controls onto this means that it's out of date. That being said for some customers who don't want all singing all dancing and are working to a budget this boiler is a good very good option. Spares a cheap and are easy to come buy and the support behind the scenes for installers is excellent. Really. Like baxi as a brand! Simply quality boilers !!!! The ones I've fitted are still burning clean and efficient with no problems.....I always recommend these myself especially the 28kw and 33kw when required. This is a great boiler that just works and works. I've mainly come from an installing background and find these very easy, although heavy especially to get into a loft. I've never had a baxi fail out of the box which is what you and your customers want and expect. Plenty of space inside to work. I would pick this boiler over a lot others which cost more. The duo-tec is baxis bulletproof boiler. Ok so its not the quietest and it certainly isnt the smallest but it is my favourite boiler. Solid brass hydroblock and plenty of space inside to work on when needed. Parts available readily and easy to access within the boiler. Best boiler on the market, well built, good warranty and company to deal with. First choice for my customers. Fantastic boilers to install, not the smallest of boilers. Plenty of space for repairs not to mention the easy process of servicing! Fitted my first duo-tec as a budget boiler for a customer, worked perfect, only thing I can fault was the jig, it bends and twists and is hard to line valves up. Arguably the best combi boiler of the past 10-12 years. Have one in my rental house and it's never missed a beat. Solid brass components and a decent stainless heat exchanger. A cracking boiler for any house. A great middle of the market boiler with a great warranty for a great price. Can't really be faulted and is a very simple boiler to work on and install. Very good boilers , i'v fitted a lot of them over the years, great value for money and easy to use for the customer. Excellent boiler to fit easy to install and simple to set up which I can't complain at. We are fitting the 40kw versions and they are definitely value for money. Excellent boiler I have fitted hundreds Of these boilers and had very little issues. The controls are very easy to use for the end user. Simply the best boiler in the UK over the last 10 years. I have personally fitted hundreds and hundreds of these boilers. They do have small issues like any other boiler but all in all amazing. Brass stainless steel and copper, Made in Britain for 150 years. Simple but great boiler. It's been about long enough to prove it's worth. I feel it's a bit dated and noisy. But still holds its own and has a place in the market. Don't think I'll be fitting many more of these now. I'll be pushing for the new Baxi range. I love Baxi boilers though great company and good back up. Great boiler that has been around for a good few years, just fitted my first one and was impressed. Underneath was a bit fiddly and probably took longer than it should have and annoying the flue is off centre I've serviced and maintained hundreds of them and they are easy to work on which is great. Good boilers. Easy controls. Easy to service/maintain. Could quite happily fit these every day. Good, easy to fit boilers and service. I find the connections underneath awkward at times. But as a whole, they are good boilers. Love this boiler, the jig makes it so easy to install. Decent boiler for price, all brass and copper inside, stainless steal heat exchange. Always found baxi have issues with diverter valves but that's just my experience. Was never a fan or the offset flue and the size but an easy boiler to service and good value for money.